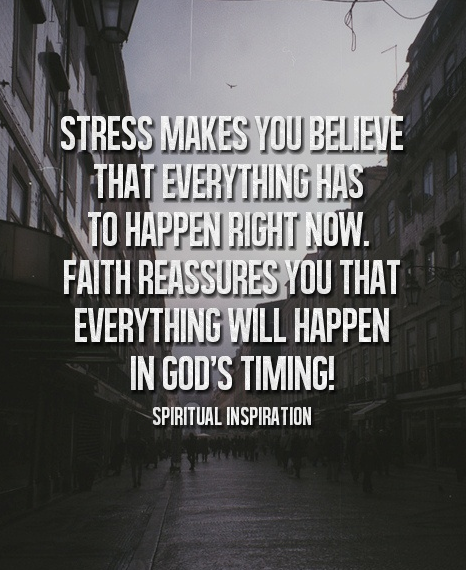 In life there are many challenges and activities that cause us stress. And when that stress occurs, we work ourselves up, shorten our fuse and become impatient with ourselves and others. But we need to remember things don't always work out perfectly. 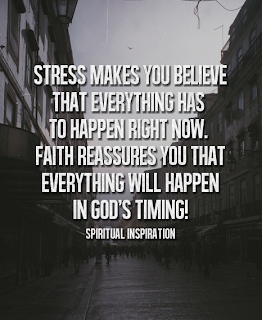 We need to have a little faith and manage the stress in our lives. Patience is a difficult thing to master. We want things immediately and we want things to fall into place. Stress can be frustrating but we can find ways to cope with it, no matter how much we face each day.